1611 12th St S, Birmingham, AL.| MLS# 843558 | Richard Jacks UABLIVING.com 205-910-2297 | Birmingham AL Real Estate | Contact us to request more information about our Homes for Sale in the Birmingham AL area. 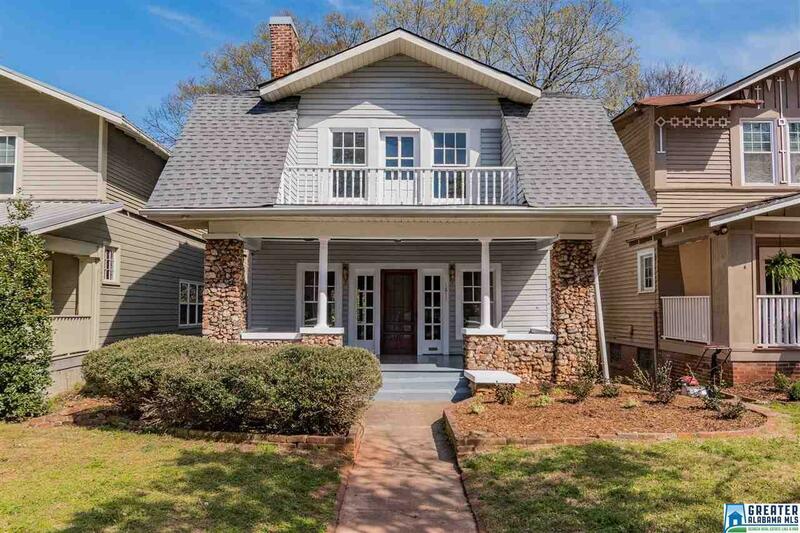 Historic Southside charmer is move-in ready w/ refinished hardwoods downstairs, updated eat-in-kitchen, fenced backyard, rear off-street parking. New roof w/transferrable warranty, new water heater, new appliances. Formal dining room w/ coffered ceiling. Large laundry room. Outdoor living includes wide front porch, rear screened porch, upstairs balcony. Also upstairs, 3 airy bedrooms, jet tub, ample closets, sunny bonus room ideal for office/playroom. Walk to UAB & Alys Stephens Center, convenient to Five Points South, newly extended Vulcan Trail. Driving Directions: On University Blvd, Head West And Take Left On 14th St S. Right On 11th Ave S. Left On 12th St S. Home Is On The Left.